The garden`s first memorial honours the final resting place of Sir Robert Gordon Menzies and Dame Pattie Menzies. A memorial commemorating former Prime Minister Harold Holt was unveiled in the garden in 1997. The garden also contains memorials to John Gorton and Malcolm Fraser. Within the garden, a wall commemorates the service of all our past and current Prime Ministers. Their names, date of birth, date of death, if applicable, and dates of service as Prime Minister are listed. The Prime Ministers' Memorial Garden in Melbourne General Cemetery was built to house the remains of prime ministers and their spouses. Sir Robert Menzie was cremated at Springvale Cemetery in 1978, and liked Springvale as his final resting place but his remains did not end up there. When Dame Pattie died, senior Liberals decided something fitting had to be done to honour the couple. So they encouraged the cemetery trustees to establish the memorial garden and inter the cremation ashes of the couple there. 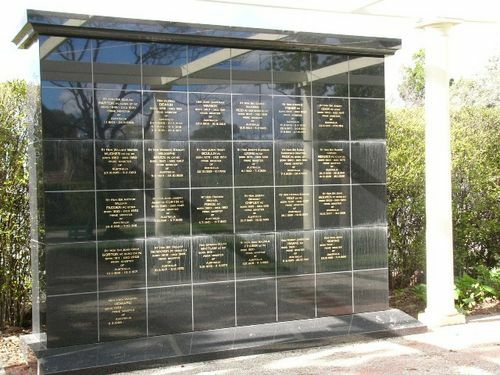 The memorial garden cost $300,000 and it is said to be the brainchild of Jeff Kennett and Ron Walker. Sir Robert Menzies was the longest serving prime minister in Australia's history, having served in that position in 1939–41 and from 1949 to 1966. The memorial garden was opened by Prime Minister John Howard and Premier Jeff Kennett on 7 June 1996.